The card says: "Play during your operations phase." Does this mean that you cannot bring it our during another phase as a result of another card action, say Josef Meiger? Josef only delivers Support cards, so even though this card is a Ritual, he can't cough it up. The Play restriction is pretty much regardless of how you came to Play it. There isn't a "putting into play" alternative with events like there is with Characters/Supports. 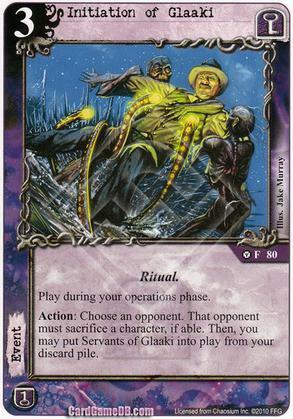 If you could find a card that let you trigger an event's text/action from out of play without using words like "play" or "playing", then the timing restriction would likely not apply, but I can't think of any card effect that does this..